Accident and Emergency Sister Stacey McCormick has revealed the moment she realised she was treating superstar musician Mike Skinner at a Birmingham hospital. 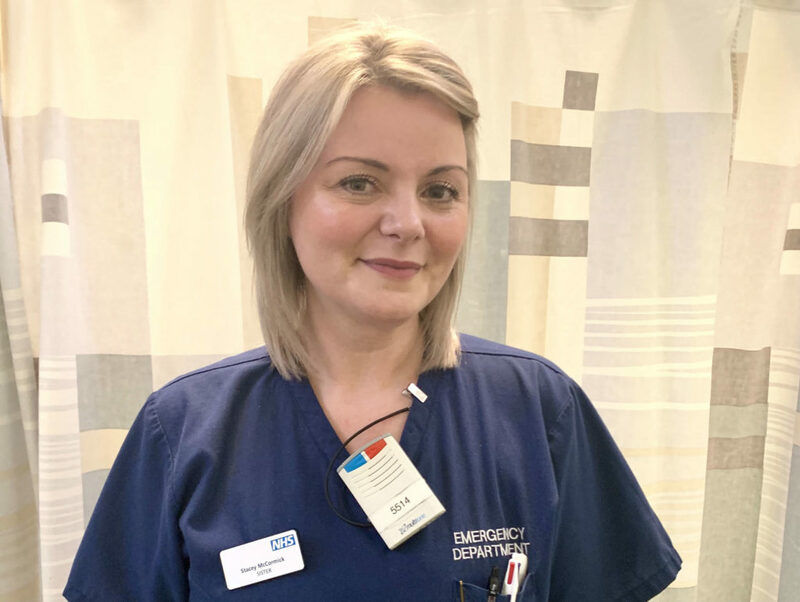 The nurse had been working a busy Friday night shift at City Hospital, checking the X-ray of a patient who had come in with a dislocated shoulder. But it was only when she looked at his name and ushered him into a treatment room, that she clicked it was the Brummie rapper, who had been performing at a gig that night at the O2 Academy. He had been crowd surfing when he suffered the injury. “I asked him are you THE Mike Skinner,” she recalled. “He answered yes. I was a bit shocked to see him there – it’s not every day that you treat a famous musician. “He was very down-to-earth and waited with the other patients in the seating area. “When it was his turn he came along quietly, and that’s when I realised it was him. We gave him gas and air while my colleague Dr Sam Bourke popped his shoulder back into place. “Throughout his time in our care he was really grateful and thought the service was amazing. He didn’t receive any extra special treatment though – and certainly didn’t expect it. “He was with management team who filmed his experience. Later that night the singer posted a video to his Instagram account in which he thanked the staff at the hospital. Skinner was also filmed telling the camera: “I could cry.